Scars aren’t just physical but mental too. How can we deal with these dreadful scars? Who doesn’t want to look fit and beautiful? What happens if a scar ruins that flawless skin for you? A scar is one of those things which are not fatal but affects one’s life just the same. People feel broken, incomplete and that can really take a toll on their mental health. Scars can result from any kind of trauma to the skin including burns, injuries, surgeries, or infections. If the scar is relatively small or present somewhere where it’s easy to hide, then it may not be as problematic. However, when a scar is too large to conceal or at a place where it cannot be concealed for example on cheeks then it means trouble. Such people tends to have mental health issues, ranging from low confidence and inferiority complex to severe depression. People in such condition start looking for a method to get rid of them for good. Now, I wouldn’t raise your hopes too high. 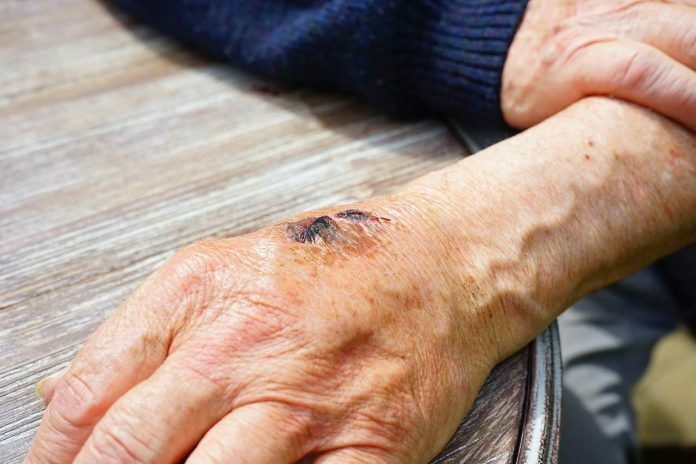 Although there are methods to take care of scars, usually the scars wouldn’t go away entirely. The scars, nevertheless, could be either reduced in size to a great deal or changed in appearance so that it’s not much of a problem. Scarring is, in fact, body’s natural method to deal with an injury. There are multiple factors which would affect the appearance of the scar, for example, intensity of the injury, its location, and age of the victim, gender, ethnicity and other genetics factors. These kinds of scars are a result of excessively aggressive healing course. The healing spreads past the extent of injury. These types of scars can hinder movement too, besides the cosmetic issues. Treatment of choice includes surgical removal of the scar, injections of steroids, and flattening the scar with silicone sheets. Cryotherapy is also an option for smaller keloids. To prevent keloid formation use pressure treatment or gel pads along with silicone while the injury is healing. Keloids have higher prevalence among the darker skinned people. These types of scars occur commonly in burns. Since the scar is tightened it can hamper the patient’s mobility to a great deal. Sometimes the scars go deeper beyond the skin affecting nerves and muscles too. This kind is an elevated, red-colored scar, similar to the keloids except that they do not go beyond the extent of the injury. The treatment options are same as keloids—steroid injections, or depression using silicone sheets. Severe episodes of acne might leave behind all sorts of ugly scars. Acne scars can be of different types depending upon their depths and morphology. Treatment varies from scar to scar. There are many medical products that can be used to treat scars resulting from minor injuries like cuts and wounds. Options include certain over-the-counter drugs, prescription creams containing steroids or antihistamines for the sensitive and itchy scars. For scarring related to surgeries especially cosmetic/plastic surgeries consult your surgeon before treating yourself. Also, for scars from severe acne consult a dermatologist. The doctor can also use or recommend silicone gel sheeting or pressure treatment for deal with the scars, or even as a prevention. Steroid injections are another choice of treatment for hypertrophic scars or keloids that projects out of the skin. There are many surgical procedures available that can help you get rid of a scar, of course depending upon the nature of scar. Some of the methods are skin grafts, dermabrasion, excision, and laser treatment. Skin grafting involves transplanting the skin from a different area of the body (commonly thighs). Grafting is commonly used in cases of burns. Surgeries might also come handy at times where scars cause functional impairment due to compression, difficulty in movements etc. When the scars are a result of surgery, do not rush for treatment straight away. Sometimes the scars reduce by themselves thus it’s better to wait for a year or so before coming to a decision for another surgical procedure. In cases of pitted scarring injections of collagen or other fillers might be useful. However, they might not be a possible solution. Previous articleDid you know how beneficial drinking water can be? Next articleWhat are the rich sources of Folic Acid?